Since 1970, Antonio Martino has authored 13 books and more than 150 papers and articles on economic theory and policy. 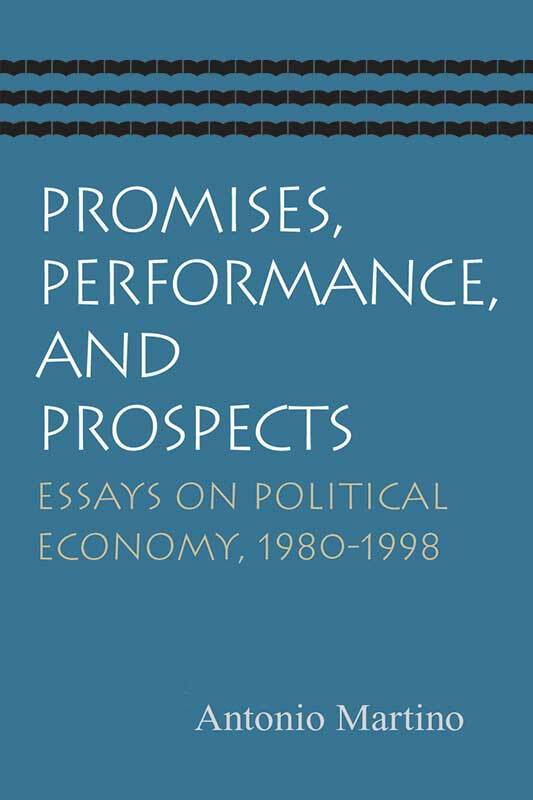 This modern collection of writings is from Martino’s practical and theoretical perspective, as he has personally encountered many of the economic and political issues presented in these essays. Divided into six parts, this volume discusses major economic topics such as fiscal responsibility, government and over-government, the underground economy and the failure of governments to deliver on their promises of economic prosperity, discretionary monetary policy, and the future of freedom and the human flourishing that depends upon it. As Dwight Lee comments in his foreword to the volume, “From Adam Smith to James Buchanan, the insights of political economics have been motivated by, and illustrated with, contemporary concerns that keep recurring in only slightly different guises.” This is certainly the case with the concerns Martino addresses in his papers. Antonio Martino is well known for his classical liberal views, having developed his economic opinions as a law student at the University of Messina and then as a student of Milton Friedman at the University of Chicago. He is a member of the Mont Pelerin Society, served as defense minister of Italy from 2001 to 2006, and was professor of economics at the University of Rome until 2002.